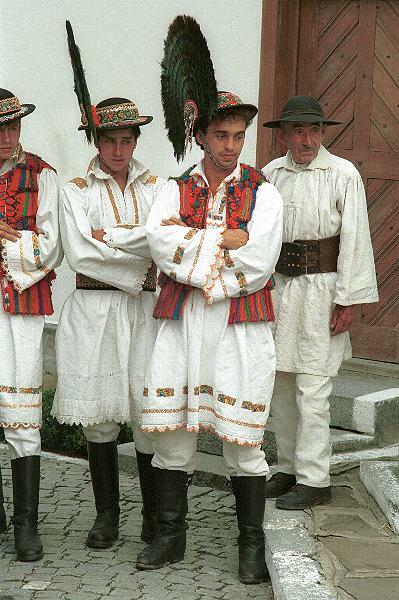 Today I will do a short partial overview of the peoples and costumes of Transylvania. Much silliness has been written about this region in pop culture and movies. This resulted from the identification of Prince Vlad III Drăculeşti [the impaler] with the fictional character Dracula. In fact, Vlad III was ruler of Wallachia [Oltenia and Muntenia], although he was born and spent part of his childhood in Sighişoara in Transylvania. Vlad's castle, where all the nastiness took place, is actually south of the montains, and NOT in Transylvania. 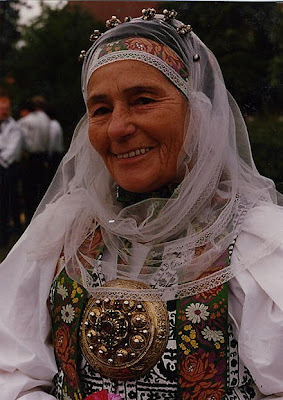 Since the Maramures vally and Banat are not technically part of Transylvania, The traditional population consists overwhelmingly of 4 nationalities: Romanians, Hungarians, Germans and Romany. [There were also colonies of Jews and Armenians, mostly in the cities.] 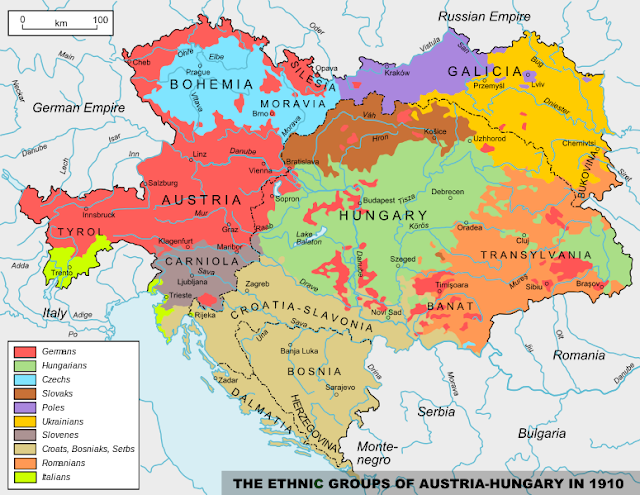 Here is an ethnographic map of the Austrian Empire in 1910. This is an extremely large subject, so this overview will be far from exhaustive. 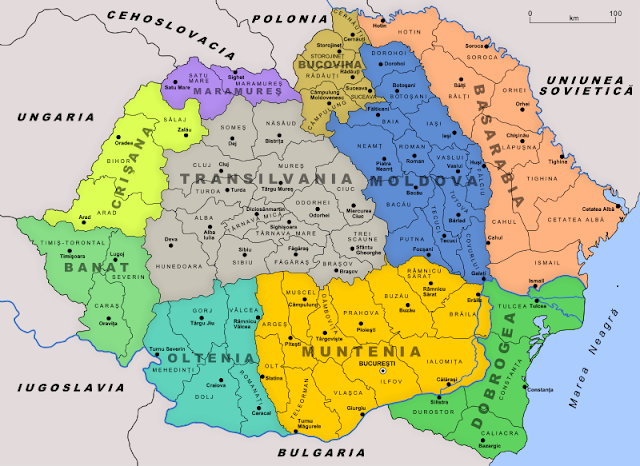 The name Transylvania, which is used by the Romanians, comes from Latin, and simply means 'The land beyond the forest'. The Romanians trace their ancestry back to the native Dacian tribes of the area, mixed with Roman settlers, especially Legionairies whose pension included a parcel of land somewhere in the empire. The Dacian language has completely disappeared, being replaced by Latin, and only contributing a handful of words to the modern Romanian Language, which is derived from Latin. 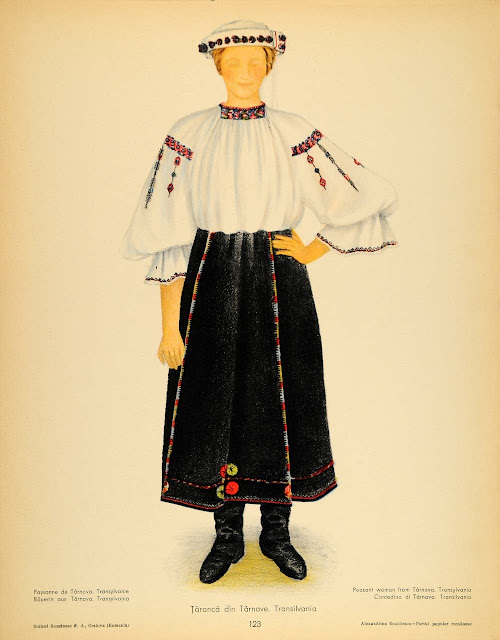 The women's costume is fairly uniform over this area, consisting of an embroidered chemise and double apron, differing only in details of ornament. The mens' varies even less, consisting of a tunic and narrow pants, either linen or wool, having a very medieval look to it. 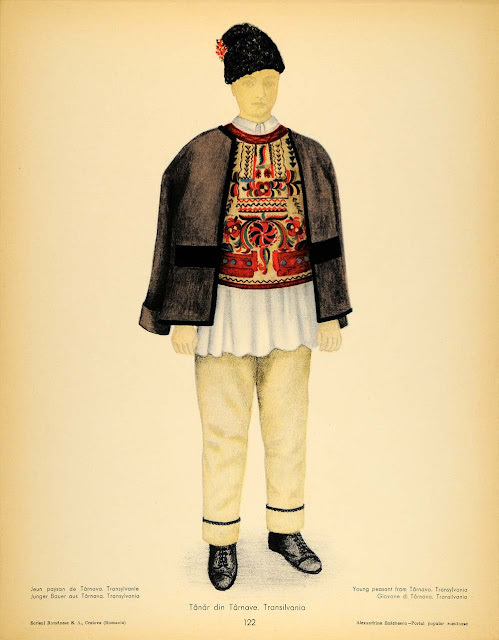 Romanian Embroidery is extremely rich, but is more modest in this region compared to some others. 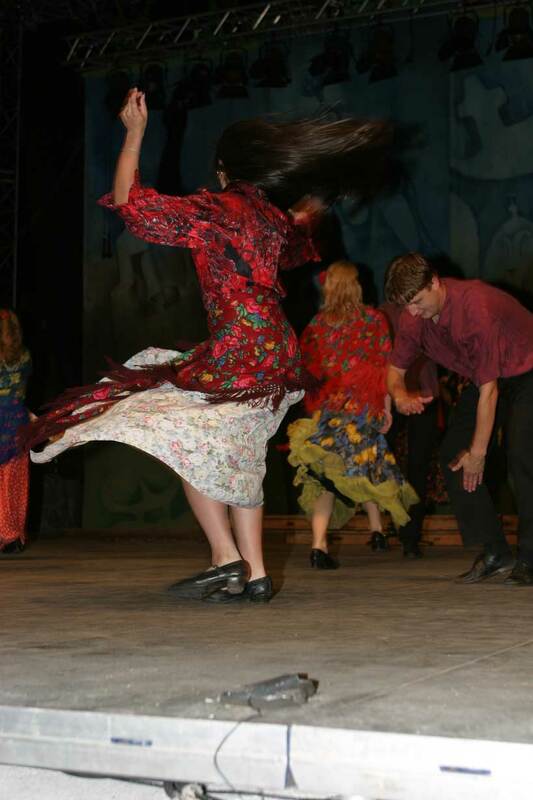 Romanian young people performing a folk dance from Transylvania. The Hungarians, who call themselves Magyar, arrived in this area about the year 895. They call this region Erdély. 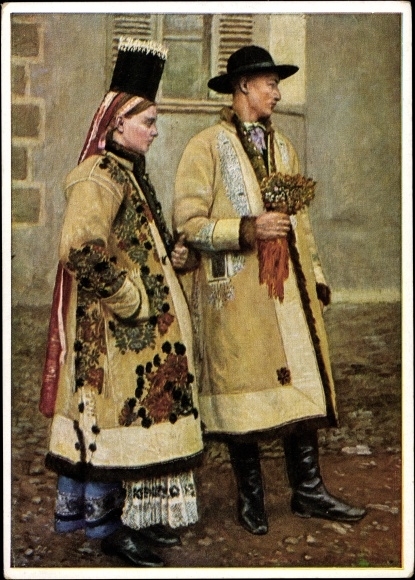 They originated in the area around the Ural mountains, and their closest linguistic relatives still live along the Ob river. 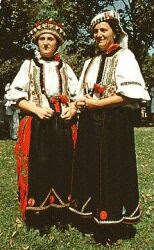 They form several groups in Erdély, the most numerous being the Székely. 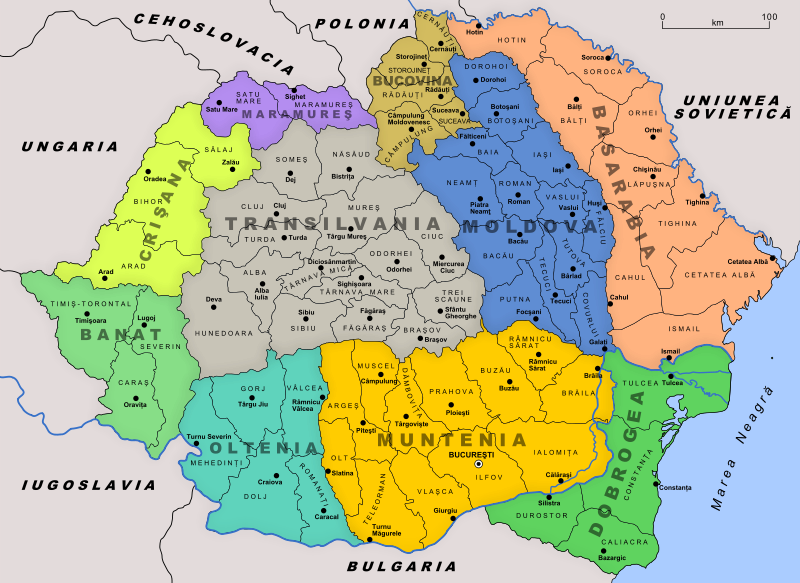 Transylvania was long part of the Hungarian Empire, and they live scattered in several different parts of it. 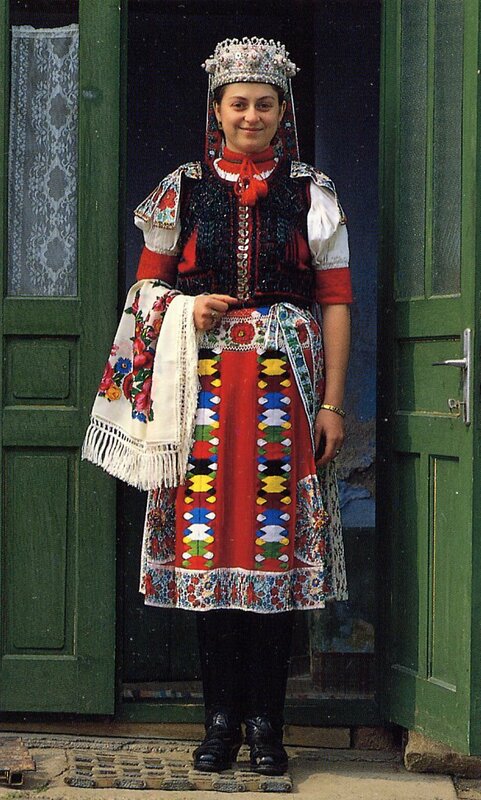 The costumes tend to be very colorful, and rely more on bought cloth than those of the Romanians do. 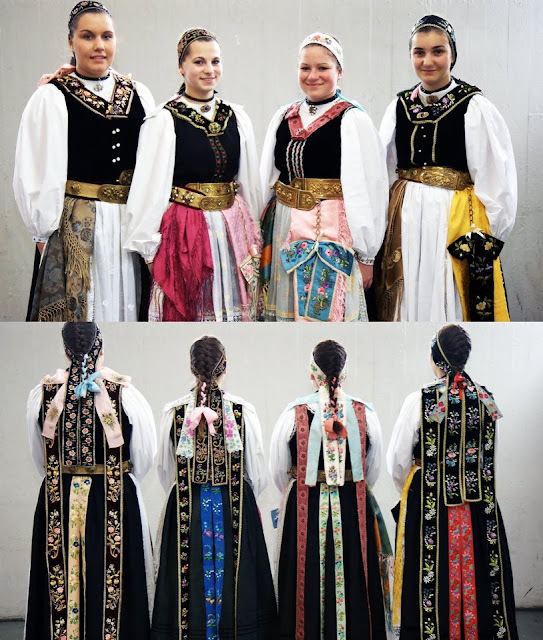 The skirts of the Transylvanian costumes are much less full than they tend to be in Hungary proper. 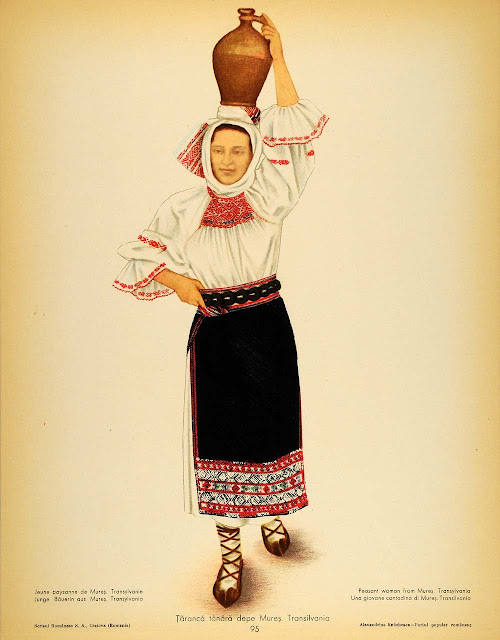 This first image is taken from 'Ethnic Dress' by Frances Kennett, where she implies that it is Romanian. 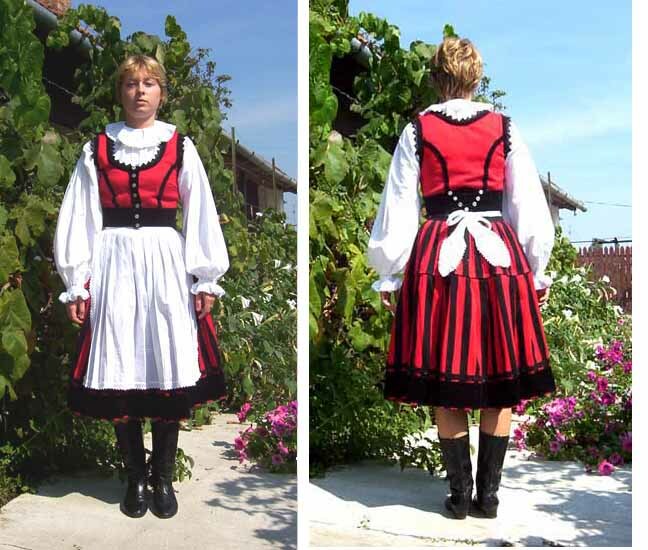 You will see it posted online in many places as a Romanian costume, but it is in fact Transylvanian Hungarian. Her skirt is shorter than is normal for this area. 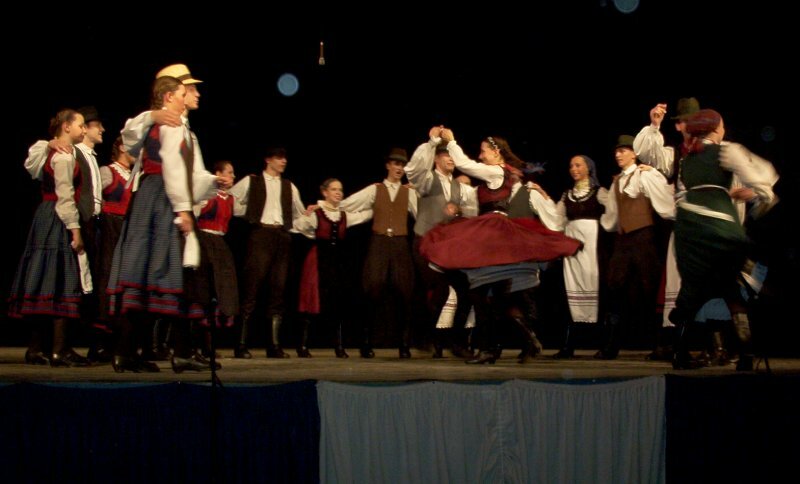 Hungarian folk dance from Kalotaszeg. I love the music of this region, sometimes called Europe's answer to the Blues, although, of course, this music is older. 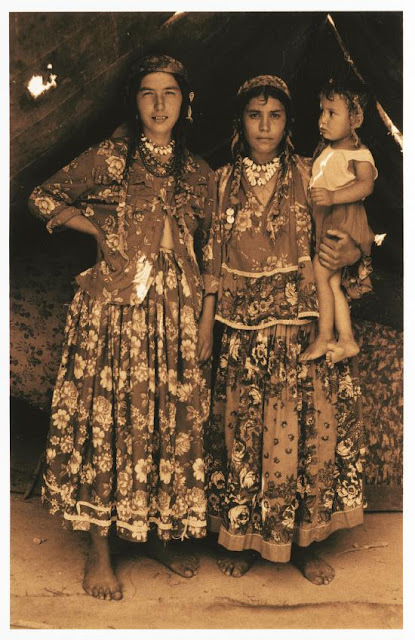 The Roma, or Romani are a traditionally nomadic people who left northwest India about 1500 years ago and arrived in the balkans roughly 900 years ago. They may originate from the Doma caste or the Rajasthani region. 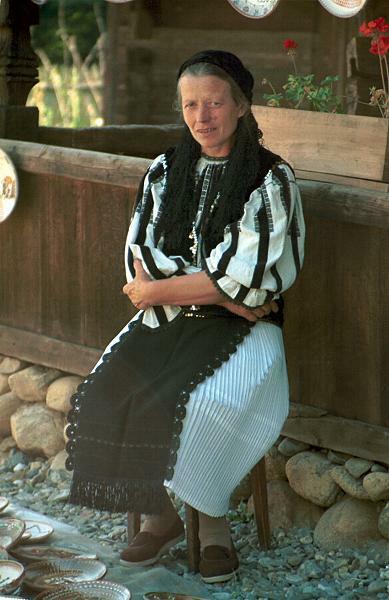 In English they are often called Gypsies, short for Egyptians, but this term has derogatory connotations, and they do not use it themselves. They do not have formal folk costumes, but have retained some of the dress habits of Rajasthan, including very full long skirts, a love of bright colors, and a love of jewelery, especially hoop earrings and bangles. Apart from being known as entertainers and sharp traders, they are renowned as metalworkers and musicians. They are only a small percentage of the population, but they have left an indelible stamp on the musical traditions of this area. Many dance groups have made up 'Gypsy' dances; here is some of the real thing. 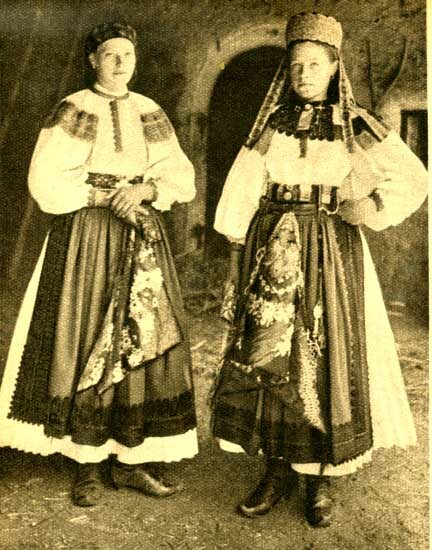 German Settlers began to colonize Transylvania in the mid 1100's. They call this region Siebenbürgen, which means the Seven Cities [or citadels]. They were mostly Franconian in origin, but are traditionally called Saxons. 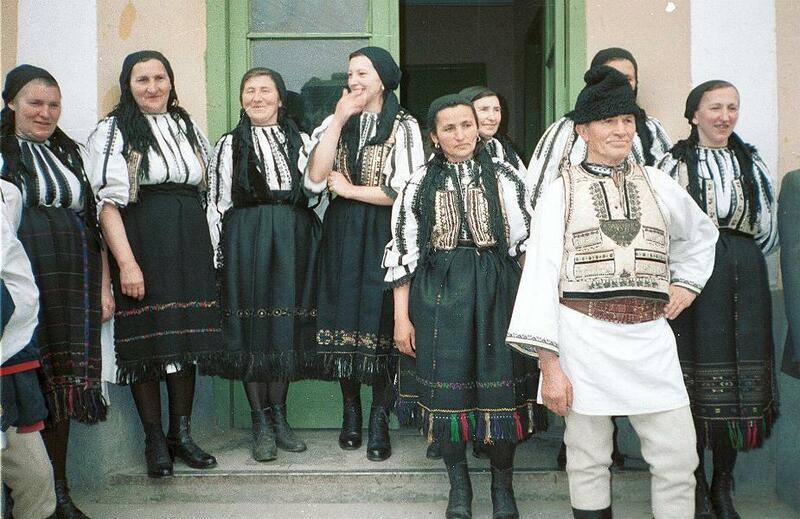 They formed a significant portion of the population in Transylvania until 1989, when under the reign of Nicolae Ceaușescu they began a mass exodus because of conditions under his dictatorship, and the willingness of Germany to pay ransom for them. 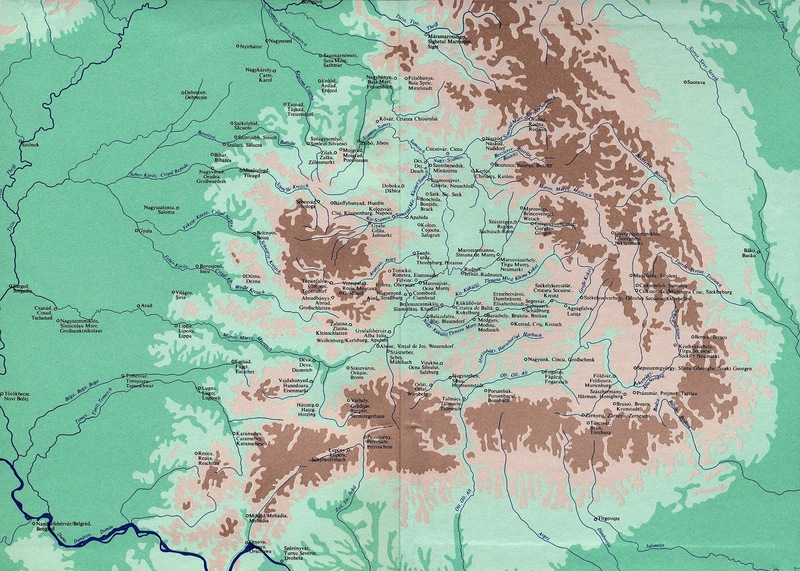 Out of perhaps 200,000 Transylvanian Saxons, perhaps 15,000 remain in their homeland. 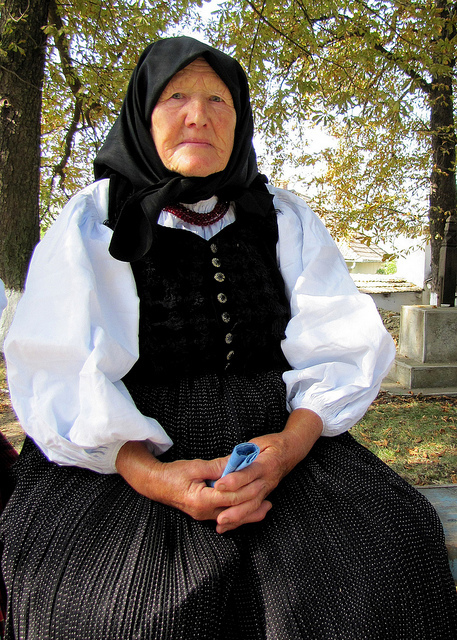 They lived mostly in southern Transylvania, where 6 of the 7 cities are found. The 7th is further north, and that population is separated from the others. I have not fully figured out the differences between the costumes of the different city areas, but here is a taste. Grand March and street dance of the Transylvanian Saxons. Several different costumes are highly visible. 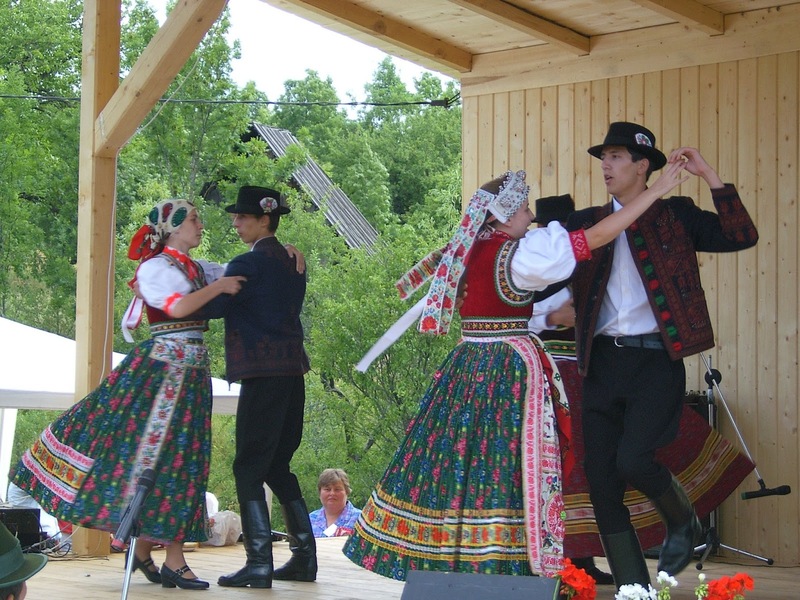 This event took place in Dinkelsbühl, Bavaria among the emigre population. Thank you for reading, I hope that you have found this interesting and informative. This is obviously just the barest taste of the richness of this region,; made all the richer for having a diverse population. Source material is too numerous to list here. 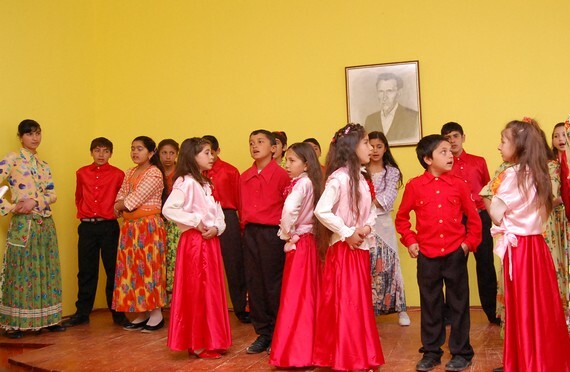 I thank all those who keep the tradition of this region alive to enrich the culture of the world. I will likely add to this later. Thank you for your wonderful site and thorough research. I am currently in Ukraine and will be traveling to the Carpathians, Bucovina and Transylvania with plans to visit the museums and markets to look at costumes and textiles of the area. In your work have you come across any contacts of individuals in those areas for additional viewings and purchase of traditional work? As a Hungarian I don't agree with everything is written here, but this is a wonderful collection of Erdély costumes. Great post and this site is wonderful too. I am Romanian and I just want to let you know that I am pleased with your research work in this region. 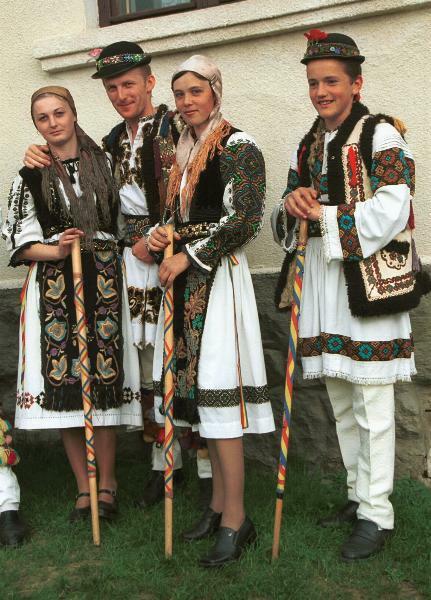 However there is a larger diversity of Romanian costumes in Transylvania. Overall I truly enjoy it! Great post very complex, nice to see all the nationalities represented, but one detail I took maybe too much to heart. Hungarian dresses do use ribbons and beads from other countries, but there is still a tremendous amount of work that is done with a costume. 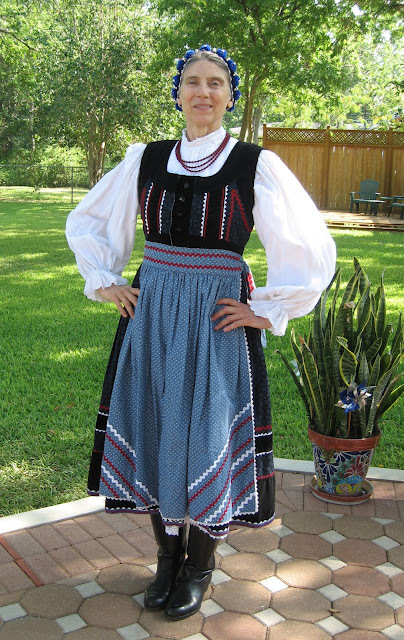 I own a Kalotaszeg dress and it is just amazing the beadwork on it. Also own Kalocsa and Matyo items that are covered with embroidery. 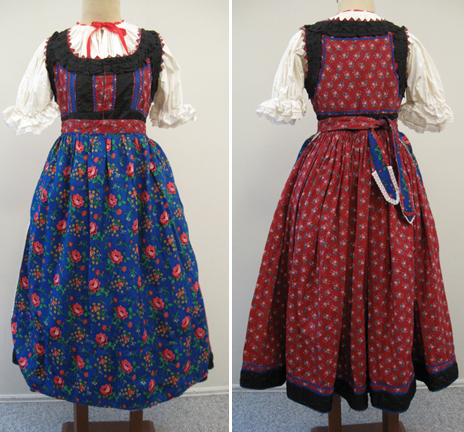 Kalotaszeg dresses also vary a lot depending on the village and of the taste of the person who made it. 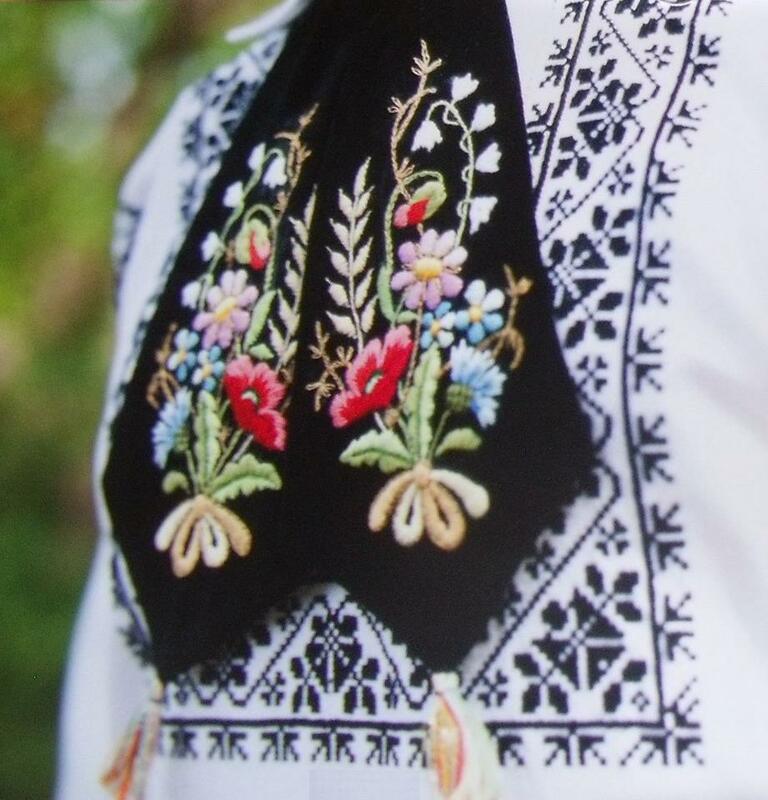 Some are embroidered with beads (like mine) or thread, some mostly use ribbons. I appreciate the time you took to create this collection and the research involved! I am researching my Saxon-German heritage and found this interesting. Where could I possibly buy a man's Saxon-German coustume. 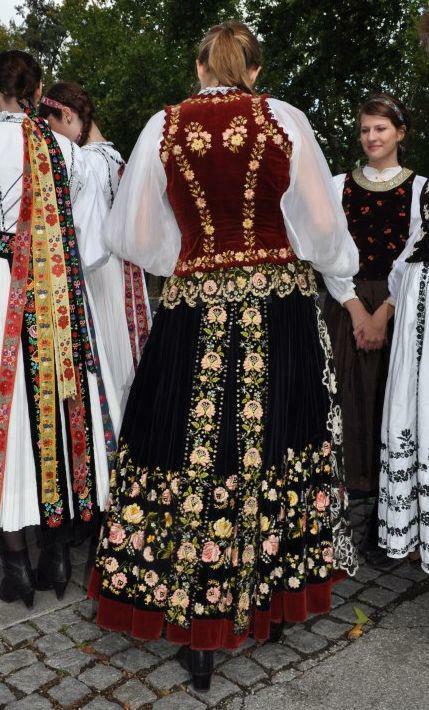 I have scoured the INternet and have yet to find a place to purchses these coustumes short of visiting Transylvania.Any help would be appreciated. Thank you! F. Orend, if you find out, please post it here. I am looking for the same thing, a man's shirt, which is how I came across this site. I have been all over the internet and can find nothing. F.Orend, try Heimatwerk Siebenbuergen in Wiehl-Drabenderhoehe in Germany. When I was there a couple of months ago they sold a "Krauser Mantel", decorative bands (I bought one) and shirts. It varies what they have as it depends on people willing to sell their costumes. Good luck! A very interesting site. 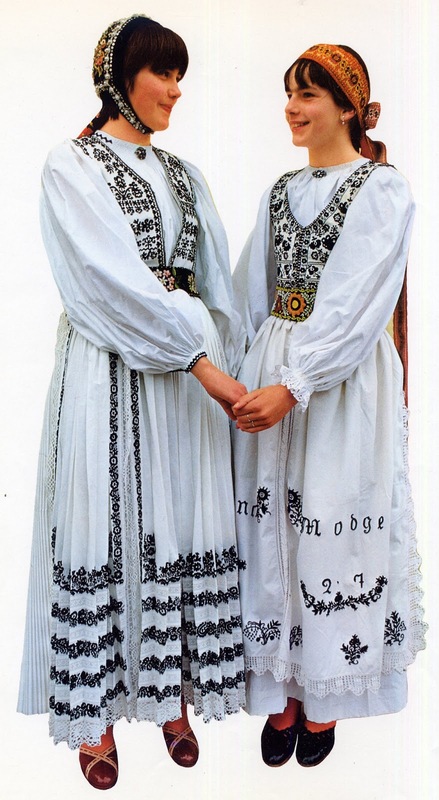 Im very interested in all aspects of Romania, historical and cultural, costumes included. Thank you for all your information. Thank you so much for this. I am on a quest to learn as much as I can about my heritage. My great grandfather, an engineer, Octavian Maxmillian, was born in Brasov as a Hungarian Transylvanian. He married my great-grandmother and together they had my grandmother in Saarbruchen, Germany. They moved to Pittsburgh, PA, USA in the 1930s. This information is so helpful on my quest to reclaim my heritage. Thank you!